Notes: 차량 refers to any vehicle on the road – not just a car, but any type of vehicle. As this is actually two words, there should be a space between them. However, Korean people often omit the space. 서울에 있는 공연을 보러 갈래요? = Shall we go to the show in Seoul? Notes: Many Korean words translate to “work.” 업무 is usually used to refer to administrative work that one does. 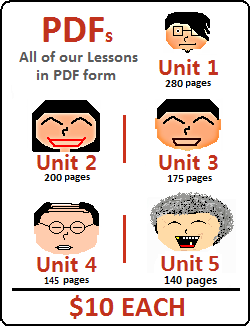 For more information on the various words that translate to “work” see our Hanja Lesson 22. Notes: 표 has more than one meaning. This one refers to a ticket or some other paper that shows proof of something. For example: 비행기표 = plane ticket. You can see another meaning in the next entry. “아이고” isn’t a word, but it is muttered by Korean people everywhere. It is commonly said when something difficult is/was/will be done. For example, if an old lady is walking up the stairs, she’ll say “아이고” to herself. 이거 세일 안 해요? = Are you not doing a sale on this? 세일 언제 해요? = When will you have a sale? Notes: 일자리 often translates to “job,” but the word “job” in English is very versatile and can mean many things. As it contains the word “일” (work) and “자리” (position/place), 일자리 refers to the actual position. For example “일자리가 없다” would be said to indicate that there are no jobs (positions) available. In these types of sentences, the noun before “빼고” is removed from whatever situation is mentioned later in the sentence. Technically these are not complete sentences, but you can add “~요” in formal situations. When putting shoes on another person, the word “신기다” should be used. Notes: This is the active version of the word “차다” (to be filled). 차다 is introduced in Lesson 60. 집을 언제까지 다 비울 수 있어요? = When can you remove everything from the house by? 전화를 왜 그렇게 빨리 끊었어요 = Why did you hang up so fast? 살려 주세요! = Please save me! Notes: Actually, “매” in Korean has two meanings depending on the Hanja character that is being used. 매 (買) and 매 (賣) mean “buy” and “sell” respectively. The word “賣買” (매매) in Hanja means “to buy and sell.” Therefore, 예매하다 could mean either “to purchase in advance” or “to sell in advance,” depending on what Hanja character is used. That being said, 예매하다 is usually used when one purchases a ticket in advance. 이미 예약했어요? = Have you made a reservation yet? 네, 안녕하세요.. 제가 비행기표를 예약하고 싶은데 어떻게 해요? = Yes, hi. I’d like to reserve a flight ticket, how can I do that? 수행평가 = A form of evaluation in Korean schools. Essentially, any evaluation other than exams. 내 상황을 자세히 설명해 줄까? = Shall I explain my situation in detail? 저는 더 자세한 설명을 부탁했어요 = I asked for a more clear explanation. 술에 취했지? = You’re drunk, aren’t you? Notes: 심심하다 is used to describe the feeling of being bored. To describe something that makes you bored (and thus, is boring), you should use 지루하다. 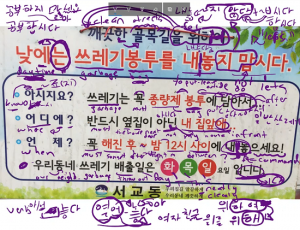 In this lesson, you will learn about how to use ~려고 and ~러 in sentences to have the meaning of “for the purpose of/in order to.” You will also learn how to add ~어/아 보다 to verbs to have the meaning of “attempt/try to,” which is often used with the noun ‘적’. Let’s get started. 마트에 갔어요? = Have you gone to the store?/Did you go to the store? 일을 다 했어? = Have you finished the work/Did you finish the work? Notice that these constructions look like incomplete sentences because ~(으)려고 is usually used between clauses (as you can see in the examples provided earlier in the lesson), and not to end a sentence. However, the language has evolved to allow the above constructions to be correct. Also notice that you can add the honorific “요” to “(으)려고” when used at the end of a sentence to make the sentence more formal. 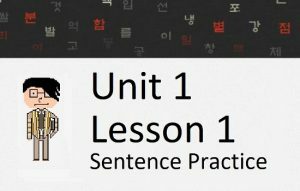 You will learn many other grammatical principles throughout your Korean studies that typically connect two clauses, but can be used at the end of a sentence like this if the context allows for it. In most of these cases, it is acceptable to attach “요” to make it polite, even though it is not an actual conjugated word. The clauses that you can add after ~(으)려고 are, for all intents and purposes, endless as long as the situation makes sense. However, one verb that is very commonly used after ~(으)려고 is “노력하다”, which means “to put effort into.” We will talk about this after our discussion of irregulars. In Lesson 7, you learned how irregular words change as a result of adding different additions. This is the first time you have been introduced to adding ~(으)려고. Let’s look at how irregulars change as a result of adding this grammatical principle. – The ㅅ irregular, ㄷ irregular and ㅂ irregular all follow the same rules that were introduced in Lesson 7. The addition of the vowel causes a change (or elimination) of the last letter of the stem. – The ㅡ and 르 irregular are not affected by this addition. The final letter in both types of stems is a vowel, so ~려고 is added instead of ~으려고. Below is a table showing the changes that result from adding ~(으)려고 to a word. … Heh, like I said – saying something that complex is unnecessary, but understanding it is always good grammar practice. Before we finish this lesson, let’s look at another grammatical principle that is often translated similarly to the ones above. I would like to describe the meaning of ~아/어 보다 by distinguishing it from the use of “try” in the translation of ~(으)려고/(으)러/기 위해. One of the most common usages of ~아/어 보다 is when you are telling somebody to do something. In essence, telling somebody to “try/attempt” something. I have yet to teach you about the imperative mood (this will be discussed in Lesson 40), so you won’t understand these example sentences completely. Regardless, examine the following example sentences to try to understand how ~아/어 보다 is being used. Another common usage of the ~아/어 보다 grammatical form is used in conjunction with the pseudo-noun 적, which we will talk about next. In that lesson, you learned that 지 is one of a handful of nouns that have no meaning when used on their own. 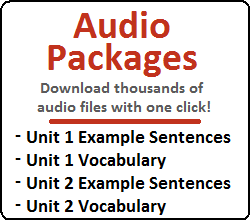 However, when used in connection with a describing verb or adjective, they have a special meaning. “적” is another one of these nouns which cannot be used on its own. However, if you add ~ㄴ/은 to a verb stem and place 적 after ~ㄴ/은, “적” has the meaning of “experience.” Notice that ~ㄴ/은 is the same addition that is added to verbs when the past-tense form of ~는 것 is added. It would mean “the experience of eating kimchi.” Remember that ‘적’ is a noun that means ‘experience’ when used this way. 그 영화를 본 적이 있어요? = Have you seen that movie? 그 영화를 봐 본 적이 있어요? = Have you tried seeing that that movie? Notice that even in the final example, the word 보다 (to see/watch) is not the same as the 보다 in the ~아/어 보다 grammatical principle. Therefore, it is not unnatural to say 보다 twice in a row.